Do you want to work with high-tech solutions in an industry with huge potential and exciting challenges? Do you have career ambitions within engineering, production, sales or service? And do you want to develop your skills within a truly international environment? Then you and the textile machinery industry are a match made in heaven! Behind every shirt, pillow, curtain, and carpet there is a textile machine. And behind every machine, you will find people. 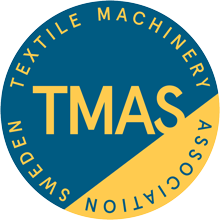 People with creativity and ambitions to solve problems and develop new solutions for textile producing companies all over the world. People with their heart in textile and their mind on machinery. Are you ready to join us? “There are short lead times. Within a year I can see my personal development within production.